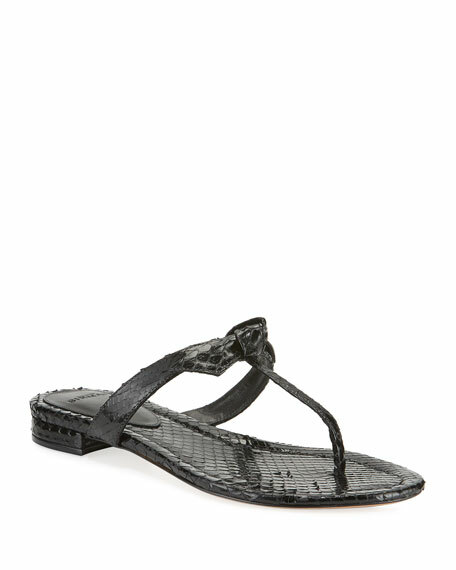 Alexandre Birman python skin sandal. 0.8" flat heel. Open toe. T-strap vamp with knot detail. Leather outsole. Made in Brazil. Christian Louboutin "Multipot" sandal in smooth calf leather. 2.2" block heel. Dual wide, adjustable ankle straps. Open toe. Two-piece silhouette. Signature Louboutin red leather sole.